Don’t you just love being informed about the latest apps available, and test them? Sure! And we are doing our best to keep you updated! 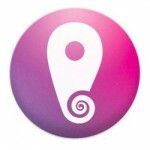 Today we have news about the new Chameleon Launcher for Android tablets. The app has been a long time in development and was originally a Kickstarter project where supporters funded beta versions. It has now hit Google Play and you can see the download link here. If you check it out, you’ll see that the app have been expanded to also give compatibility for 7-inch tablets, and with phone compatibility to come in the future too, which means that this is an on-going project. Chameleon Launcher for Tablets is compatible for devices running Android 3.2 or later, and enables the user to create multiple home screens with different layouts of apps and widgets. Chameleon features a clever context based home screen system to best suit the user’s needs and Chameleon’s next generation of widgets include ones for Google+, Facebook, Instagram, Calendar, Clock, YouTube and more with a Media Player widget coming shortly. Cool! Yet it also comes with an enthusiasm-‘cooling’ price, too! The Chameleon Launcher for Tablet app is $10.26CDN (equivalent to US$10.52 or £6.32). What do you think about this price? Next story Mi-One S phones – to beat the iPhone 5 record in sales?